If you have any questions or want to enquire about dates, use our form to contact Thomas & Regina Coyle or see their website for more information. 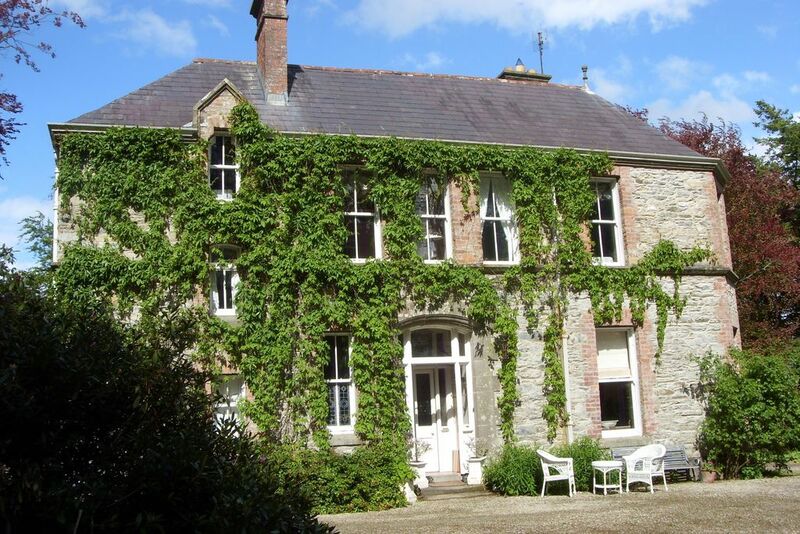 Charming, amusing, Thomas and Regina have taken Irish hospitality to a new level in their relaxed, historic home. The Victorian part was a rectory but the fortified annexe dates from 1698 when landowners needed protection from the odd uprising. Thomas, an antiques collector and restorer of historic buildings, uncovered a curious family link: his great-aunt, a servant girl here before the Great War, had carved her name on the back of a bedroom cupboard. The bedrooms, white-walled, fresh, uncluttered, with great bathrooms and woodland views, are the kind you never want to leave; the small green suite has its own library, a perfect writer’s retreat. Regina will cook dinner for groups, served in the elegant buxom dining room – old crockery and silver beneath a chandelier of real candles. Nod off over a nightcap by the fire in the snug, lined with antique lithographs and books. There’s a lovely sitting room too, and sweet nooks in the garden. As for the cottage, it’s warm and characterful, filled with books and perfect for two. All who leave feel better for having stayed. Special. Christmas, 1 November - 1 March. Dinner €45-50, by arrangement. Restaurant within walking distance. Have you visited Frewin? Be the first to leave a review. Glenveagh National Park, Fanad Lighthouse, Slieve League - highest sea cliffs in Europe, wonderful countryside for hiking or gentle strolls, many fabulous near deserted beaches all within a short drive of Frewin.